The Canon EOS-80D camera was officially announced on February 18. It is quite an improvement over the previous EOS-XXD models but in particular, the new EF-S 18-135mm f/3.5-5.6 IS lens offers a new technology, the Nano USM. Be sure to view the videos on the camera above. You can see full size sample photos and videos taken with the new camera from Canon Japan. The EOS-80D Owner Manual is available for download. Get your copy and see the camera's features and functions in detail. Every year, on February 27, the world celebrates International Polar Bear Day. With our planet's gradual warming in the last few decades or so due to climate change, the plight of Polar bears have become the proverbial Canary in the Coal Mine for our fragile planet. The Polar bear is the largest living land carnivore, with adult males growing to over 8 feet in length and some weighing close to one ton. The heaviest recorded bear was about 2,300 lbs. There is also evidence the largest Kodiak Brown bears in Alaska can grow to about the same weight. The Polar bear is immediately recognizable from the distinctive white color of its thick fur. The only parts of the body not covered by fur are the foot pads and the tip of its nose, which are black, revealing the dark color of the skin underneath the pelt. The neck of the Polar bear is longer than in other species of bears, and the elongated head has small ears. Polar bears have large strong limbs and huge front paws which are used as paddles for swimming. The toes are not webbed, but are excellent for walking on snow as they bear non-retractable claws which dig into the snow like ice-picks. Females are about half the size of males, although a pregnant female with stored fat can exceed 1,000 pounds in weight. Polar bear cubs weigh about 2 lbs at birth. They look similar in appearance to adults, though they have much thinner fur. Polar bears are found throughout the circumpolar Arctic on ice-covered waters, from Canada, to Norway, parts of the US, the former USSR and Greenland. The furthest south the Polar bears occur all year round is James Bay in Canada, which is about the same latitude as London. During the winter, when the ice extends further south, Polar bears move as far south as Newfoundland and into the northern Bering Sea. Although Polar bears have no natural predators, male bears sometimes kill young cubs for food or to try and mate with their mothers. In addition, there are also isolated poaching incidents and limited trophy hunting permitted by law. Another big threat to these endangered animals is the warming of the Arctic region and pack ice are forming later and later every year. Polar bears depend on the pack ice to hunt seals and the early ice melt is forcing them to spend more time and energy looking for food and finding fewer seals. They face an uncertain future as the sea ice melt faster and faster in the summer. 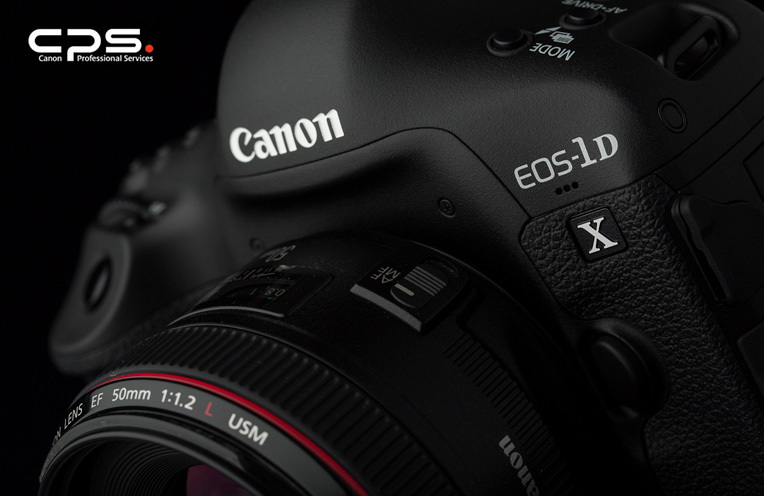 Canon announced the successor to the highly successful EOS-1D X camera at the beginning of this month. 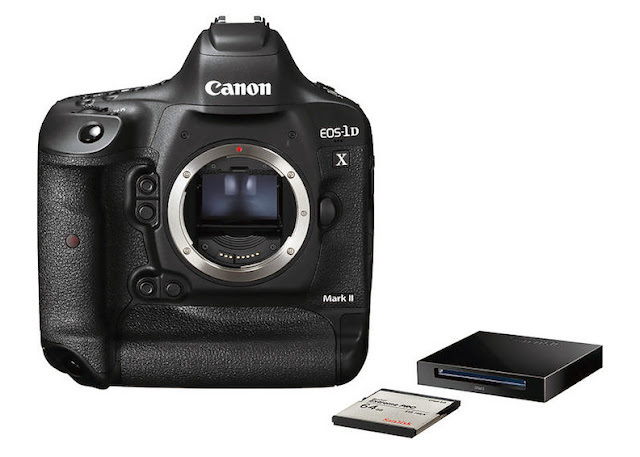 The top-of-the-line EOS-1D X Mark II is scheduled for delivery around mid April. I have placed my order the day the camera was announced. Until February 27, 2016, any pre-order for the EOS-1D X Mark II will get a free 64GB CFast card and CFast reader ($300 value), for the price of the camera - $5,999. Take advantage of this fantastic offer and place your order before it expires. 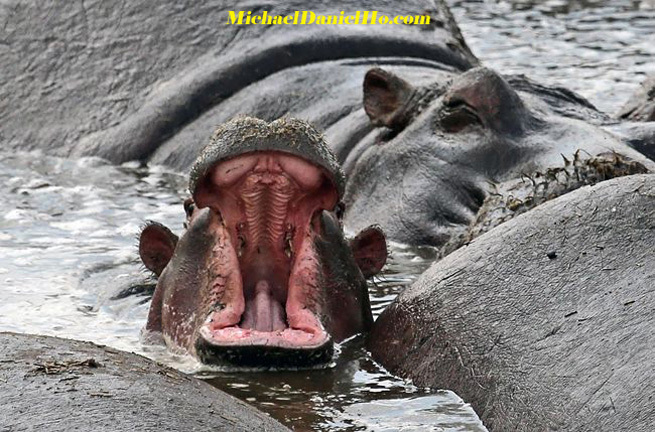 My readers know me as The Wildlife Ho-tographer because I am primarily into wildlife photography. However, I do some nature, landscape and travel photography as well. 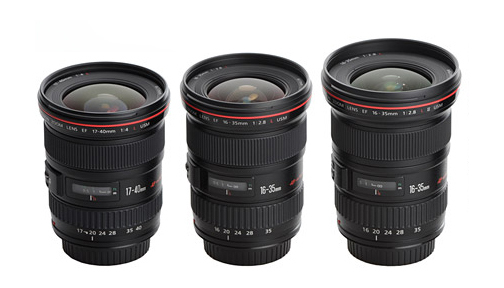 The video below compares three of Canon's 'L' series wide angle zoom lens. I have used all three out in the field. The offer consists of a one-year extension on top of the one-year Standard European Warranty System (EWS), under identical terms and conditions, and is absolutely free of charge. This gives photographers a total warranty period of two years from date of first purchase. United Kingdom, Republic of Ireland, 24th February 2016 – Canon will be back at The Photography Show in March with its biggest, most engaging stand to date. For the first time Canon will be premiering its very own Live Stage, hosting live and insightful talks from world renown, industry leading photographers and videographers. Canon will also be showcasing the recently announced EOS 1D-X Mark II camera, demonstrating its awesome power and speed along with a host of award winning products. Canon’s largest Photography Show stand yet will also be chocked full of brand new products such as the new EOS 80D and the PowerShot G7 X Mark II. Plus visitors will be able to witness Canon’s range of PIXMA and large format printers including the new A2 inkjet printer, the imagePROGRAF PRO-1000. Now that Canon has announced the EOS-1D X Mark II and EOS-80D cameras, with delivery scheduled for April, attention has again shifted to the EOS-5D Mark IV and when the camera will be announced. Unlike the flagship EOS-1D X Mark II, the EOS-5D Mark IV camera may not command a stand alone event, so it will most probably be announced before a photography trade show. NAB and Photokina are coming in April and September, respectively. NAB is primarily a trade show for videographers and broadcasters. 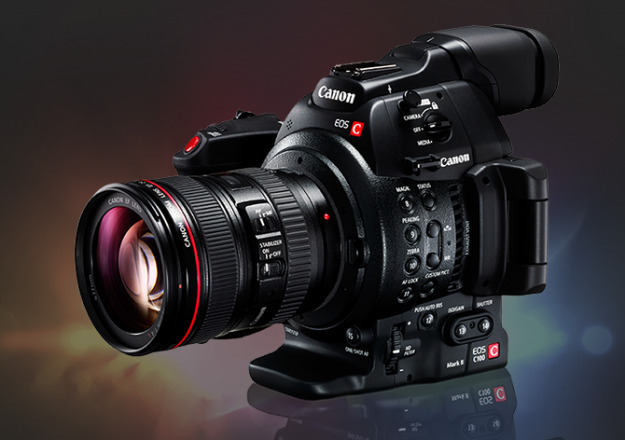 Canon will be showcasing their Cinema EOS products like the C500 Mark II camera with 8K video. There is almost certainty the next EOS-5D will have 4K video. It may be called the EOS-5D Mark IV (most probably) or by another model number - EOS-5D C or X. Similar to the EOS-1D C, when Canon chose to separate the EOS-1D X line four years ago. Historically, Canon has never announced a major camera at Photokina. This leaves the summer open for an announcement but those are notoriously slow months and many photography writers will be on vacation. Of course, Canon may surprise all of us by breaking their previous mold and announce the EOS-5D Mark IV just before the NAB Show to complement the 4K and 8K video theme of the Canon camera lineup. There are a lot of chatter out there on the EOS-5D Mark III's replacement. Some are simply without merit (designed to grab attention) and not worth mentioning. My best estimate is Canon may make a product development announcement about the EOS-5D around the time of NAB 2016 and talk about its coming 4K video capability but will not officially announce the new camera because it will upstage the EOS-1D X Mark II's April delivery. The EOS-5D Mark IV will most probably be announced in Q3, in time for the Photokina Show in Cologne, Germany on September 20. Below are the possible specs I have on the Mark IV. Keep checking back. More to come . . . . . .
KANAGAWA, JAPAN - February 23, 2016 - Sigma Corporation of America, a leading camera, DSLR lens, flash and accessories manufacturer, today announced the new high-performance, compact Sigma sd Quattro and Sigma sd Quattro H mirrorless camera systems with Foveon Quattro sensors. The Sigma sd Quattro features an APS-C sized sensor and the Sigma sd Quattro H touting a larger APS-H sized sensor for even greater image quality. Thanks to the mirrorless aspect of the cameras, both the sd Quattro and sd Quattro H are designed to take full advantage of all Sigma Global Vision lenses. 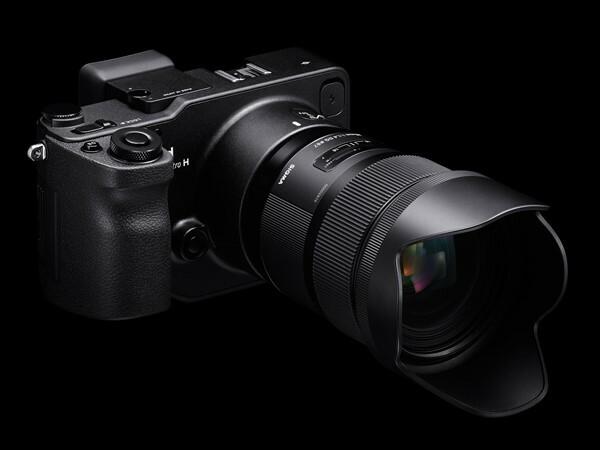 “With the introduction of these two new cameras, Sigma continues its rich history of innovation. The Foveon sensor is renowned for its imaging characteristics, and the mirrorless interchangeable format offers photographers the full line of Sigma Global Vision lenses to help realize their creative visions,” stated Mark Amir-Hamzeh, President of Sigma Corporation of America. “The sharpness of detail and nuanced color tone captured by the Foveon sensors is a key component of Sigma Global Vision. Both the sd Quattro and sd Quattro H feature similar design aspects with a compact form consistent with the dp Quattro line, making them highly portable and utilizing the Foveon Quattro sensor for exceptional imaging quality and fast processing. A magnesium alloy body makes the sd Quattro and sd Quattro H durable and rugged, while a dust- and splash-proof design makes it ideal for photographers facing harsh conditions. In addition to the new body design, both cameras boast a list of useful advancements. These include a two-mode Autofocus detection that combines Phase Detection for focus speed and Contrast Detection for focus accuracy. The focus settings have also been enhanced with such modes as Movement Prediction, Face Detection, Free Movement, Focus Peaking and a variety of others. The new 2.3 megapixel viewfinder displays close to 100% of the field of view and when placed in “Auto” will toggle between the viewfinder when the user has the camera to their eye and then to the LCD when the user lowers the camera. A new “Super-Fine Detail” mode brings out the full potential of the Quattro sensor by capturing seven different exposures with one shot and merging them for exceptional dynamic range (images can be extracted individually as well). Meanwhile an updated algorithm for the Auto White Balance allows for greater accuracy, even with multiple light sources. While the sd Quattro and sd Quattro H are similar in physical design details, they stand apart when their Foveon sensors are compared. The sd Quattro utilizes the same sensor found in the dp Quattro line and produces image quality comparable to that of a 39 megapixel Bayer-pattern sensor on resolution testing. 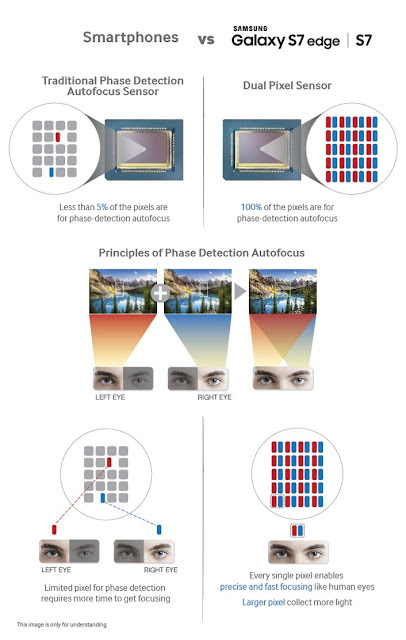 The stacked silicon Foveon Direct Imaging sensor captures all detail information on the top 19.6 megapixel layer along with all color information for the Blue channel, while the two five-megapixel layers below capture Red and Green color information, all without the need for a low pass filter. Merged together they create incredible image quality that is comparable to medium format files. The sd Quattro H boasts a larger APS-H sensor (26.6x17.9mm) than the sd Quattro and can produce images equivalent to that of a 51-megapixel Bayer-pattern sensor camera on resolution testing. The sensor structure is similar to that of the sd Quattro but uses a 25.5 megapixels on the top layer of the sensor that captures the detail information. Both cameras use the latest Dual TRUE III image processor and take full advantage of the Art, Contemporary and Sport line Global Vision lenses that are made for high megapixel cameras. Like all Sigma Cameras, RAW (X3F) data can processed via Sigma Photo Pro, which offers editing options, including Monochrome mode to take advantage of the incredible monochrome images the Foveon sensor captures. Wildlife Photography and Tripods. Are They Inseparable? KANAGAWA, JAPAN — February 23, 2016 – Sigma Corporation of America, a leading DSLR lens, camera, flash and accessories manufacturer, today announced the addition of two high-performance APS-C format lenses to the Sigma Global Vision product line : Sigma 50-100mm f/1.8 DC HSM Art Lens and the Sigma 30mm f/1.4 DC DN Contemporary Lens. Combining outstanding optical performance and compact design, the new affordable Sigma 30mm f/1.4 DC DN Contemporary Lens brings immense value to mirrorless cameras. Boasting superior image quality with F1.4 brightness, the versatile lens covers a wide range of photo and video capture scenarios, delighting users with its beautiful bokeh effects. Sigma Global Vision lenses including the new 50-100mm f/1.8 DC Art and 30mm F1.4 Contemporary lenses can be updated with the latest lens software from a workstation or laptop using the Sigma Optimization Pro software and Sigma USB Dock (sold separately). United Kingdom, Republic of Ireland, 18th February 2016 – Canon today announces that the EOS C300 Mark II digital cinema camera has been independently tested in accordance with European Broadcast Union (EBU) recommendations for both HD and UHD content acquisition¹. The report recognises image capture of up to 15 stops of dynamic range using Canon Log2 and qualifies the EOS C300 Mark II for R.118 Tier 1 in HD and Tier 2 in UHD². The new gamma Canon Log2 has been designed specifically for the C300 Mark II’s new 8.85MP Super 35mm CMOS sensor. Having access to this high dynamic range gives users the creative freedom to produce more compelling visuals. Combined with the EOS C300 Mark II’s built-in noise reduction functionality, filmmakers have the ability to shoot almost anywhere, capturing low-noise footage in many challenging shooting scenarios. The EBU exists to serve 73 broadcasters across 56 countries in understanding which technology is best suited to certain tasks. The UK’s Digital Production Partnership (DPP) broadcasters use these recommendations to ensure their content meets a minimum threshold. This is especially important when a compressed image needs to survive editing, grading, encoding and transmission before it reaches audiences in its final pictures. The EOS C300 Mark II follows Canon’s XC10 video camera that also qualifies for R.118 Tier 1 HD as tested in September last year. Alongside this, the EOS C300 Mark II joins several of Canon’s high-end professional broadcast cameras that meet the criteria defined by the EBU, including its predecessor the Canon EOS C300, the Canon XF305 and the Canon EOS-1D C.
Samsung announced their latest smartphone, the S7 yesterday. 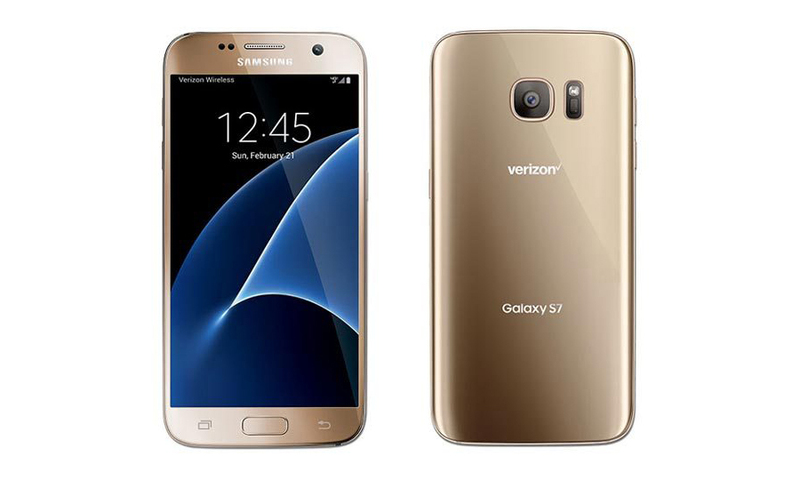 It boasts to be the world's first smart phone to use the Dual Pixel CMOS AF technology. As my readers know, Canon has started using this technology in their DSLRs about 3 years ago. At the present, the Canon EOS-7D Mark II, EOS-1D X Mark II and EOS-80D cameras all use Dual Pixel CMOS AF for auto-focusing and live view shooting. The new Samsung S7 promises unparalleled low light and AF performance in a smartphone, with the two sub-pixel inside senor working together to acquire fast Auto Focus lock on subjects. February 22, 2016, Commack, New York - Tamron, a leading manufacturer of optics for diverse applications, announces the launch of the SP 90mm F/2.8 Di VC USD 1:1 MACRO (Model F017). The new 90mm macro has been enhanced with advanced features and builds upon a legacy of superior optical performance. XY-Shift compensation has been newly added to reinforce VC functionality, further improving image stabilization from infinity to macro. Advancements in USD control software have also increased AF focusing speed, and optimally fine-tuned for various framing conditions. In addition, a high standard of Moisture-Proof and Dust-Resistant Construction has been added to prevent intrusion of dust or moisture, and a highly durable Fluorine Coating has been applied to the top element surface to prevent condensation and repel smudge-causing substances. The lens will be on sale in the U.S. starting on February 25, 2016 in Canon and Nikon mounts (the Sony mount to be launched at a later date) at an approximate price of $649. Inheriting the optical design of the previous 90mm Macro lens (Model F004), the new Model F017 delivers the same excellent resolving power and remarkably soft background blur effects (bokeh). The advanced construction includes one LD (Low Dispersion) specialized glass element that maximally limits the dispersion properties of light and two XLD (eXtra Low Dispersion) glass elements that correct dispersion properties to an even greater extent. The special elements optimally compensate for on-axis and lateral chromatic aberrations from macro shooting range to infinity. Furthermore, the design ensures the best imaging performance at any range by adopting the Floating System that shifts the location of a group of elements to the best possible position as the focusing group travels relative to shooting distances. From 1:1, life-size close-ups to the most distant horizon, this new 90mm Macro lens achieves outstanding image quality. Earlier models of Tamron's 90mm macro lens received high acclaim for their spectacular blur effects, and the new 90mm macro builds upon this legacy. To continue this commitment, thorough optical simulations were conducted. Careful examinations were performed to minimize any blurring with a doubled image appearing for a single line because that phenomenon has a considerably negative impact on background image quality. As a result, the lens achieves both sharp, vivid images and spectacular background blur effects. This combination is highly prized by portrait photographers. An accelerometer has been integrated into Tamron's highly accredited VC (Vibration Compensation) to compensate for shakes on the x-y plane. In unison with a gyro sensor, the accelerometer detects and enables motion compensation for camera shake, providing maximum efficiency in image stabilization optimized for all distance ranges from infinity to macro. When shooting a scene that includes a point-source of light in the subject background, marvelously tuned blur (bokeh)can be obtained without generating undesirable polygonal shapes of aperture patterns thanks to the circular aperture. The 9-blade diaphragm retains a nearly perfect circular opening even when stopped down by two stops. Included in the new 90mm macro package is SILKYPIX Developer Studio, a popular RAW conversion and editing program preloaded with correction menus for various aberrations based on the optical data that pertains exclusively to Tamron's SP Series lenses. 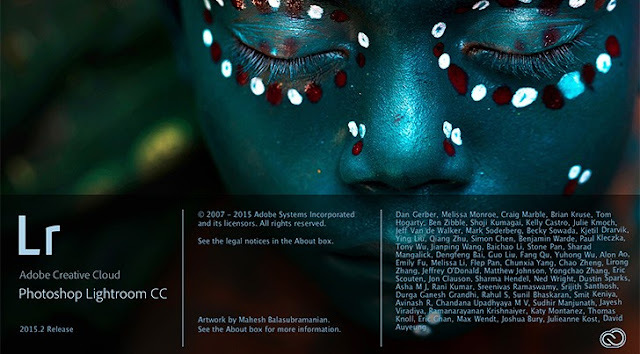 In addition, lens profile information has been supplied to Adobe Systems, Inc. to facilitate selecting the precise lens data required for more sophisticated adjustments in RAW processing when using Adobe Photoshop and Lightroom. 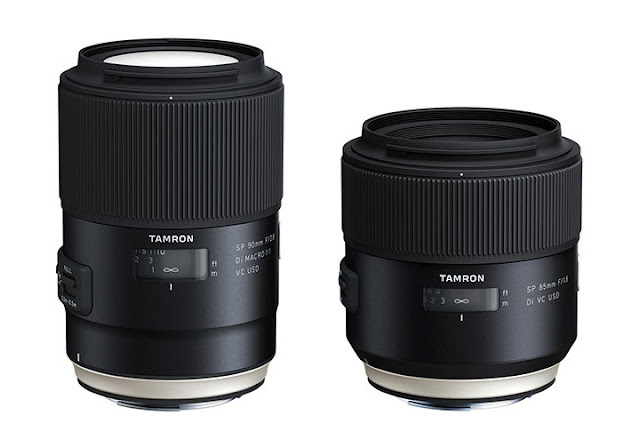 February 22, 2016, Commack, New York - Tamron, a leading manufacturer of optics for diverse applications, announces the launch of the SP 85mm F/1.8 Di VC USD (Model F016), the world's first fast-aperture lens with VC (Vibration Compensation). Tamron's acclaimed VC makes it possible to take handheld photographs in dim light or at night. The 85mm SP lens uses LD (Low Dispersion) and XLD (Extra Low Dispersion) glass elements in the optical design to minimize color fringing and to achieve sharp and clear image quality with high-fidelity color. It also achieves attractive bokeh that draws attention to the image foreground subject. In addition, Moisture-Resistant Construction has been added to prevent intrusion of moisture, and a highly durable Fluorine Coating has been applied to the top element surface to prevent condensation and repel smudge-causing substances. This new lens joins the 35mm F/1.8, 45mm F/1.8 and 90mm Macro in a lineup of SP series prime lenses that has been expanding since 2015. The lens will be on sale in the U.S. starting in April 2016 in Canon and Nikon mounts (the Sony mount to be launched at a later date). Pricing and delivery will be announced shortly. Tamron's VC image stabilization system enables handheld use in dim light without flash. Camera movement-often too minute to be perceptible to the photographer-is the leading cause of unpleasant photographs. In addition, newer DSLR cameras with higher resolution and higher pixel densities are even more susceptible to subtle camera shake. The VC System, Tamron's time-proven Vibration Compensation, keeps the sharpness at hand, even in moody, dim light when shutter speeds tend to be longer. Experienced optical design technique combined with LD and XLD lens elements have virtually eliminated on-axis and lateral chromatic aberrations that might otherwise appear as color fringing. In addition, by thoroughly reducing comatic aberrations (distortion of off-axis point source) and astigmatism, subjects that appear as a distinct point source will be captured as a distinct point source even at the edges and corners of the frame. Furthermore, optical simulations were thoroughly conducted, and the 85mm achieves natural bokeh- that dreamy, semi-focus blur that separates the portrait subject from the background with a snap. Fluorine Coating technology developed for use in industrial optics applications has been adapted to photographic lenses. The water and oil repellant coating applied on the front element surface allows safe and easy removal of fingerprints, dirt and smudges. The coating also provides an enhanced level of durability, and will sustain its effectiveness for years. In addition, seals are located at the lens mount area and other critical locations to prevent infiltration of moisture and/or rain drops and provide Moisture-Resistant Construction. This feature provides an additional layer of protection when shooting outdoors under adverse weather conditions. Two highly developed lens coating technologies, eBAND (Extended Bandwidth & Angular-Dependency) which uses nanotechnology, and BBAR (Broad-Band Anti-Reflection), combine to increase light transmission and to reduce flare and ghosting to imperceptible levels. Additional techniques are employed to prevent reflections inside the lens barrel so that the 85mm lens delivers high contrast, sharp and clear images worthy of a fixed focal lens. This lens clearly captures detailed tones even in the shadows. Fast, quiet AF is achieved by employing a USD (Ultrasonic Silent Drive) ring-type ultrasonic motor which enables remarkably precise focusing drive with high torque and responsiveness. Thanks to the absence of reduction gears in USD, there is no backlash and no unnecessary back-and-forth movement. The control software program for the USD actuator has been revised to provide substantially improved focusing speed and accuracy when using AF. In addition, Full-time Manual Focus override is available at any point during the autofocus operation for deliberately shifting focus without switching the AF-MF. Whether overriding the autofocus or focusing completely manually, the focusing ring turns smoothly and evenly. Supplied with SILKYPIX Developer Studio 4.0, advanced editing software that features correction menus for various aberrations (lateral color, distortion, relative illumination) based on the optical design data of this specific lens. In addition, lens profile information has been supplied to Adobe Systems, Inc. to facilitate selecting the precise lens data required for more sophisticated adjustments in RAW processing when using Adobe Photoshop and Lightroom. Shooting RAW image files enables creation of more stringent and high fidelity image quality. The superior technology inside the Tamron 85mm is matched by advanced external ergonomic features under a design philosophy called "Human Touch." Improvements include altering the geometric shape and resistance of the AF/MF and VC switches to deliver comfort with secured operational feedback, and enlarging the distance scale window to maximize visibility and legibility. Even the font style has been newly developed to enhance legibility as part of the overall product design. 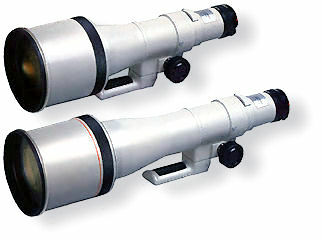 Off White color paint first appeared on Canon lenses in 1976 on the FD 600mm f/4.5 and FD 800mm f/5.6 lens. Why are some Canon 'L' lens painted Off White while others are black in color? According to Canon, the technical reason is : Heat Reduction. Lenses contain many glass elements. These optics expand with heat, over time. Large lenses contain more and larger elements and heat expansion can bring a lens close to the limits of its design tolerances. A lighter surface reflects sunlight and helps to keep the lens cooler. In shorter lenses, the amount of glass expansion is smaller and usually do not cause a problem. For outdoor sports and wildlife photography, being exposed to the harsh rays of the sun for long periods of time can cause damaging heat expansion. The lighter color of the lens helps to reduce overheating and protects the internal optics and image sharpness of the glass. A number of Canon's black colored lenses also have a heat-related feature. A lens that can focus past its infinity mark allows the glass to expand when shooting under hot conditions. 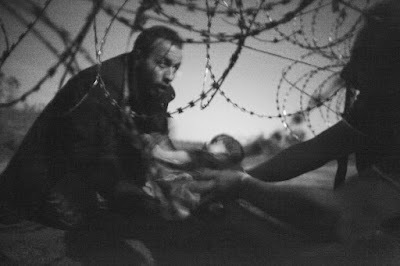 The winners of the prestigious World Press Photo contest for 2016 have been announced. It showcased the 'best news photos' taken in 2015. 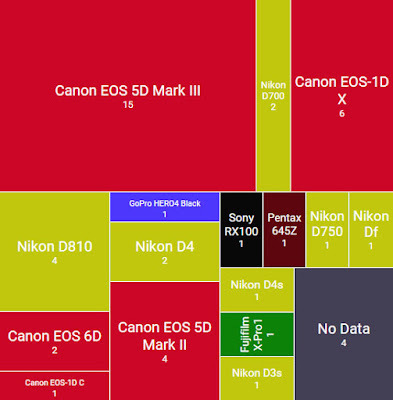 Below is a graphic representation, created by the Spanish site Quesabesde, showing the camera brands and specific models used by the winning photographers. 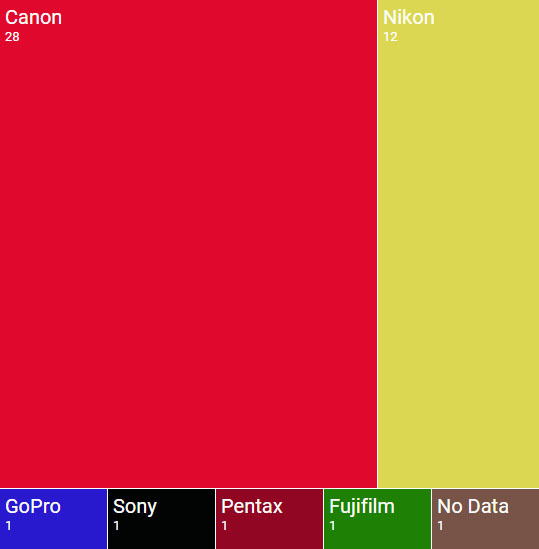 Again, as in past years, Canon is the preferred camera brand. Out of the 45 photos that won awards, 15 were taken with the Canon EOS-5D Mark III and 6 were captured with the Canon EOS-1D X cameras. Nikon's D810 camera were used by 4 of the photographers. The winner of this year's award, Australian photographer Warren Richardson, used the Canon EOS-5D Mark II and a 24mm f/1.4 at ISO 6400. The photo was illuminated by moonlight. 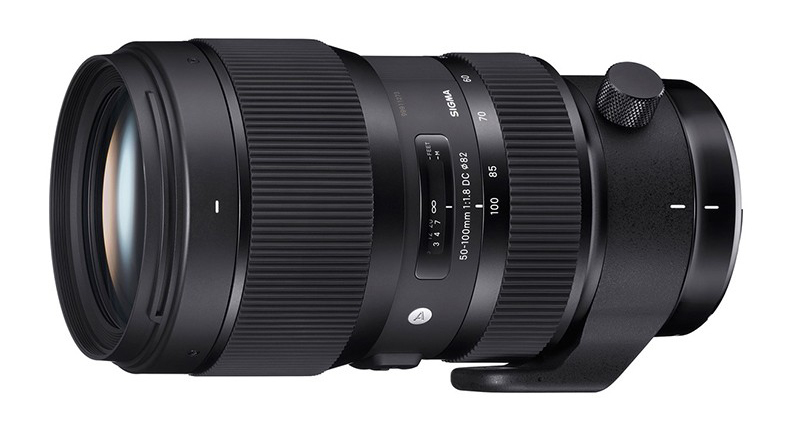 Sigma is planning to announce their 50-100mm f/1.8 DC HSM Art lens just before the CP+ Show on February 25 in Yokohama, Japan. This will be another interesting and fast zoom lens in the highly successful Art line coming from Sigma. The new lens is designed for APS-C cameras. Many of you know me as the Wildlife Ho-tographer using Canon equipment for 25 years. Over the past four years, I have picked the EOS-7D / 7D Mark II as the best value APS-C DSLR for sports and wildlife photography. With the recent announcement of the Canon EOS-80D, many people want to know whether they should upgrade from their current Rebel or EOS-XXD cameras, while others want to know if they should buy the EOS-7D Mark II or the new camera. My advice is the following. If you are into sports and wildlife photography, buy the EOS-7D Mark II. Keep your current EOS-70D unless you really need a slightly better video and AF system (including AF @ f/8) and 4 more MP for cropping. 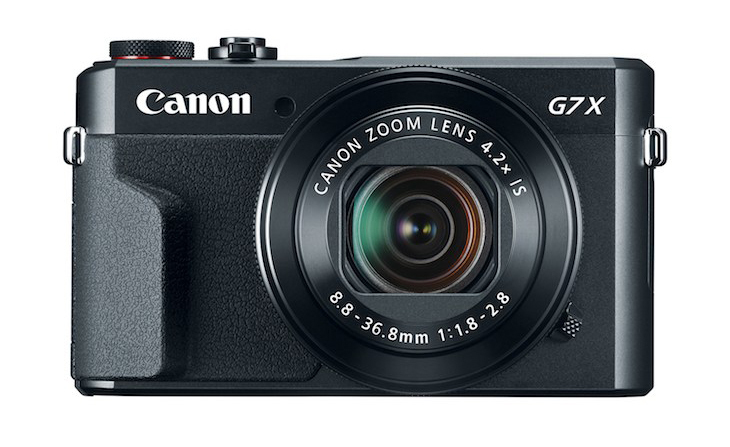 If you are on a budget and want a very good, APS-C camera for action photography, buy a refurbished and well cared for EOS-7D from Canon or from a trusted source. Along with the introduction of the Canon EOS-80D camera, Canon engineers are introducing an updated version of the popular EF-S 18–135mm f/3.5–5.6 IS lens. The headline feature of this lens is a completely new type of Ultrasonic motor technology, called Nano USM. We’ll concentrate on the Nano USM in this article, but will give some basic info about the new lens as well. Canon’s new Nano USM technology uses a completely different form factor, but achieves focus results within the lens via the same principles of ultrasonic vibration energy, transmitted here into linear (rather than rotational) movement within the lens. This tiny new Ultrasonic motor achieves the combination of fast, near-instant response during still image shooting, with the smoothness required for good focus during video recording. This sounds simple, but AF motors originally designed for superior AF performance during still image shooting — like Canon’s highly-regarded ring-type Ultrasonic Motors — tended to have less than ideal smoothness when asked to perform video-oriented AF. Canon engineers developed “STM” (Stepping Motor) AF technology and applied it to drive mechanisms within recent Canon EF and especially EF-S lenses in recent years. STM focus motors indeed provided that smooth and consistent ability to drive the lens during actual video recording. And, their speed during still-image shooting was adequate for many applications. Still, as user demands for increased video recording performance with each new generation of digital SLR camera have continued, Canon engineers recognized another approach was needed. 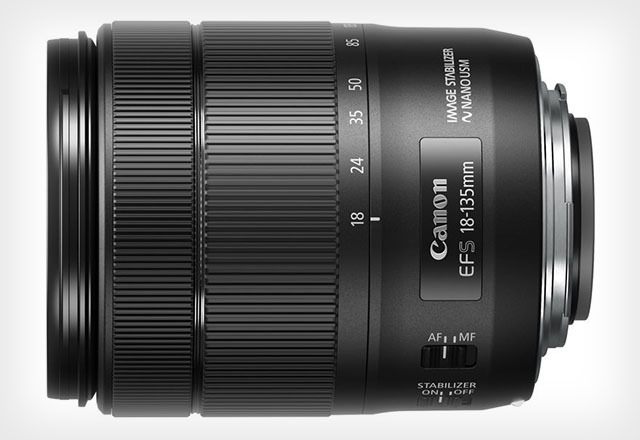 In the new-for-2016 EF-S 18–135mm f/3.5–5.6 IS USM lens, Canon introduces a new answer to this challenge. Using the same principles of ultrasonic vibration converted into movement, Canon engineers have developed a direct-drive system that’s incredibly compact, easily placed within the body of a lens, and has tremendous AF performance. AF speed during still-image shooting rivals what users have come to expect from high-end lenses with Canon’s powerful ring-type USMs. It’s brisk and nearly instantaneous — an almost perfect match for the new AF system in the EOS 80D. Most users will doubtless agree that it’s a clear step forward from what we’ve come to expect in affordable lens focus, whether we’re referring to the previous Micro USM focus motors used in many such lenses, or the recent STM versions. But this lens focus system is outstanding in video applications. AF operation during video recording has tremendous smoothness, and is remarkably free from the visually jarring start-stop focus movement sometimes seen with other lens focus motor systems. Another huge factor in video shooting is that the AF operation is nearly silent — very important if a microphone is attached to the camera, and vital if using the camera’s built-in microphone. Nano USM matches the relative silence of previous STM designs when focus occurs during video recording. So it’s the combination of focus characteristics, blending the conflicting requirements of good, fast AF during stills with smooth, controllable AF during video, that makes Canon’s Nano USM such an interesting and compelling possibility for many Canon EOS photographers. Even with this exciting new focus drive technology, for optimum smoothness during video recording, a camera body using either Canon’s Hybrid AF system, or (even better!) Canon’s Dual Pixel CMOS AF, is going to be needed, along with this new lens. How does Nano USM work? This isn’t an engineering document, and Canon’s designers have provided only basic information to date. But in general, the principle is the same as in previous Ultrasonic motor designs — but of course it’s applied differently. Canon’s existing large, ring-type Ultrasonic motors provide a good starting point. They actually consist of two separate metal rings, held together via spring pressure. One ring has a smooth contact surface, the other has specially designed “teeth” that touch the opposite ring. When specific types of voltage are sent to the stator (ring with teeth), it not only vibrates, but flexes in a controllable, travelling wave fashion. Contact against the smooth ring causes that ring rotate, at controlled speed, in the opposite direction of the traveling wave. With the new Nano USM lenses, the movement in the form of vibrations are generated by sending current at very precise levels to the motor. But unlike previous USMs, the ceramic voltage elements of this motor expand and contract in response to this current. Connected to a metal slider with elastic characteristics, this movement results in linear — not rotational — movement within the lens. The actual lens elements which move for focus are driven by a rack, with guide bars to control its forward/rearward movement. Here’s a graphic showing how the movable lens element(s) used to focus the lens are held within a rack assembly, shown in black here, along with its guide bars. The tiny Nano USM sits aside this, its ceramic voltage elements held against a flat, elastic metal slider. Vibrational energy at the tips of the voltage element causes the slider to move forward or backward, in a linear fashion — thus changing the lens’s focus in precise, controllable amounts, and without requiring start-stop steps to achieve smooth movement when that’s needed during video recording. 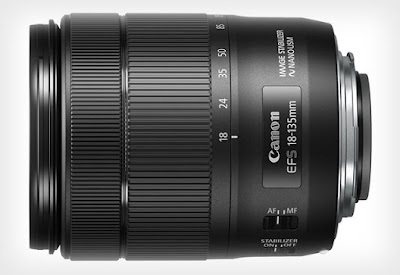 The first application of Canon’s Nano USM technology is in the EF-S 18–135mm f/3.5–5.6 IS USM lens. This lens will be combined with the new EOS 80D camera if it’s purchased in “kit” form in many markets, as well as being a lens that Canon users can step up to independently if they so desire. • Image Stabilization is improved in the new lens: up to 4 stops of shake-correction, allowing hand-holding at shutter speeds up to 4 stops lower than would otherwise be possible without stabilization (the previous STM version provided IS with up to 3.5 stops correction). Like the previous STM lens, this lens provides Dynamic IS at wide angle settings, providing added shake resistance during walking and similar situations while video is recorded. • As with the STM version, this new USM lens uses electronic manual focus control, meaning the camera must be awake and active for manual focus to happen when the lens’s focus ring is turned. • An important note about the variable f/3.5–5.6 maximum aperture of this lens: as with all EF and EF-S lenses having variable apertures, the effective aperture changing and altering light transmission during zooming will only occur at apertures wider than f/5.6. Once the lens is stopped to f/5.6 or smaller (f/8, f/11, etc. ), the electronic diaphragm is able to adjust as the lens is zoomed, preserving consistent light transmission, even in Manual exposure mode. • As with all Canon EF-S lenses, this lens is limited to compatible Canon EOS camera bodies with APS-C size image sensors, which can accept EF-S lenses. It is not compatible with full-frame EOS digital SLRs. In its present form, Canon engineers stress that Nano USM technology gives them a very practical answer to the aforementioned challenges of fast still-image AF, while allowing great controllability and smoothness for Live View and especially video recording. But for now, at least, it’s optimized for lens designs where the elements moved for focus are small and lightweight in size. The inner focus system of the EF-S 18–135mm f/3.5–5.6 IS design lends itself to this, with an optical system where a very lightweight element group is moved. Larger, heavier focusing elements remain better-served by the more powerful ring-type USM design, as seen in many of Canon’s mid-range EF lenses, and of course in many high-end L-series lenses as well. Nano USM is an exciting new technology, and Canon expects it to be a great match for video content creators as well as still-image shooters using recent APS-C sensor EOS cameras. For now, however, Canon engineers have not tipped their hand as to if, and where, we might see this technology repeated in future products. In summary, this new extended-range EF-S standard zoom lens (its coverage is approximately equivalent to a 28–200mm lens, on a full-frame camera) looks ready to be a terrific choice for the still and video shooter. And that applies to not only newcomers to digital SLRs, but experienced and seasoned users of cameras up to and including the EOS 7D Mark II as well. 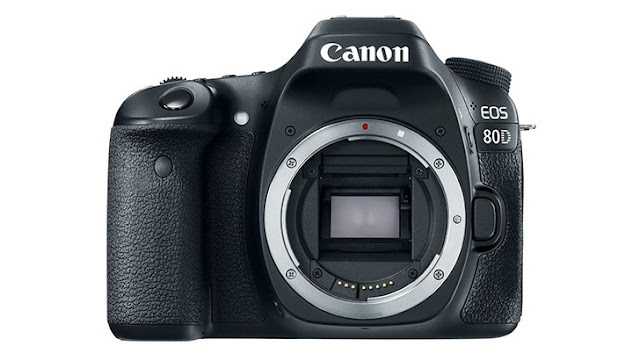 As reported earlier, the Canon EOS-80D camera is officially announced. It is quite an improvement over the previous EOS-XXD models but in particular, the new EF-S 18-135mm f/3.5-5.6 IS lens offers a new technology, the Nano USM. Be sure to view the videos below. You can see full size sample photos and videos taken with the new camera from Canon Japan. The PowerShot G7X II and SX720 cameras have also been announced. MELVILLE, N.Y., February 17, 2016 – Artists looking to turn their passion into popular online videos or to show the world their unique perspective through social networks now have a new tool available to them that helps them tear down creative barriers and produce dynamic visual content for both still and video. Canon U.S.A., Inc., a leader in digital imaging solutions, is proud to introduce the new Canon EOS 80D Digital SLR camera, featuring a new 45-point AF system, 24.2 megapixel CMOS sensor for crisp images with fine detail. For the budding videographer or online video star, the camera features Dual Pixel CMOS Autofocus (DAF) technology coupled with an intuitive touchscreen capability for easy focusing when shooting video. List price $1,199 in the U.S. Featuring a new 24.2 megapixel APS-C Canon CMOS sensor and Canon’s superb DIGIC 6 Image Processor, as well as an improved still image ISO range of 100–16000 (Video ISO range 100–12800, both expandable to 25600), the Canon EOS 80D DSLR camera is capable of producing sharp, detailed images and videos even in low-light conditions. High-speed continuous shooting up to seven frames per second (fps) combined with the 45-point all cross-type AF allows photographers to capture fast moving subjects easily and accurately, while the camera’s Scene Intelligent Auto Mode delivers optimized photos and offers outstanding scene detection for amazing results even when shooting in low light. HDR mode provides creative filter effects, such as natural, art standard, art bold, art vivid and art embossed. For added convenience, the Canon EOS 80D camera features Anti-Flicker shooting, similar to that found in the EOS 7D Mark II DSLR camera. Anti-Flicker shooting produces consistently high-quality results even when shooting in areas with fluorescent lighting or other flickering light sources by detecting the flicker cycle of the light source and shooting when brightness is near its peak. When users select the EOS Movie mode, the Canon EOS 80D DSLR camera offers the ability to shoot in 1080p Full HD video up to 60 fps, compared to 30 fps in the Canon EOS 70D, in MP4 format and in either ALL-I or IPB compression modes with optional embedded time code. For expanded creativity the Canon EOS 80D DSLR camera features HDR movie and Time-Lapse movie modes and Movie creative filters like fantasy, old movie, memory, dramatic monochrome and miniature. Movie Servo AF custom settings allow users to speed up or slow down focusing speeds, enhancing creativity and artistic expression. 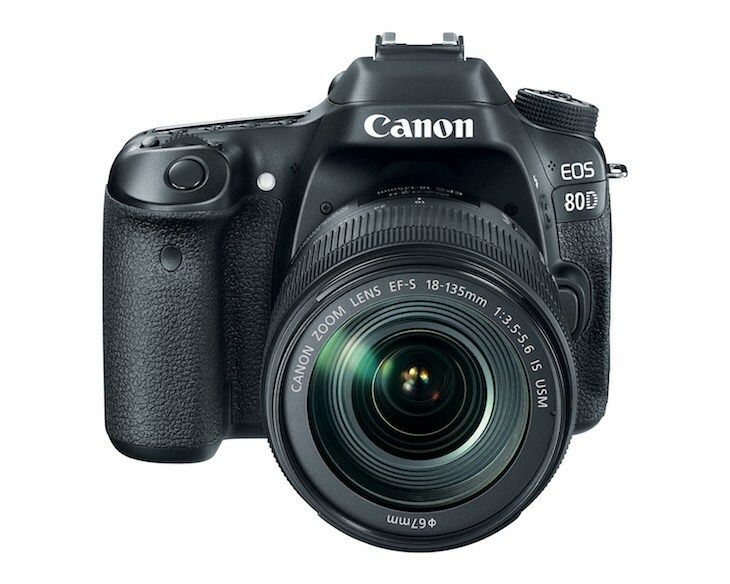 For added flexibility, the Canon EOS 80D digital SLR camera also features a built-in headphone jack, a built-in stereo microphone with manual audio level adjustment, and an additional stereo microphone jack. 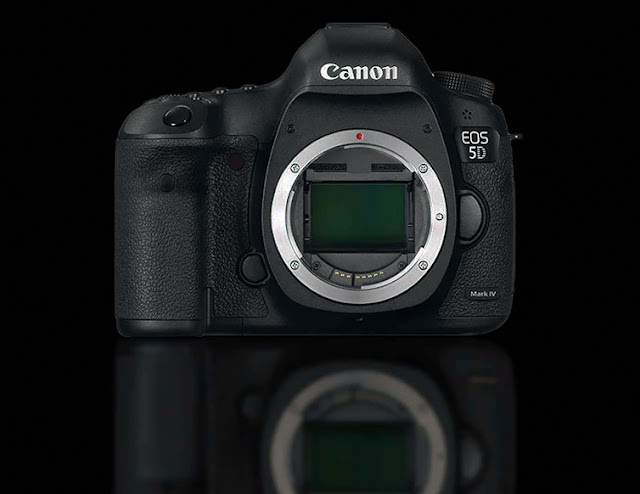 The Canon EOS-80D Digital SLR camera and EF-S 18-135mm f/3.5-5.6 IS USM Lens are currently scheduled to be available in March 2016 for an estimated retail price of $1,199.00 for the body only, $1,799.00 with the new EF-S 18-135mm f/3.5-5.6 IS USM Lens and $599.99 respectively.